Promoting and showcasing North American Indigenous graphic designers. 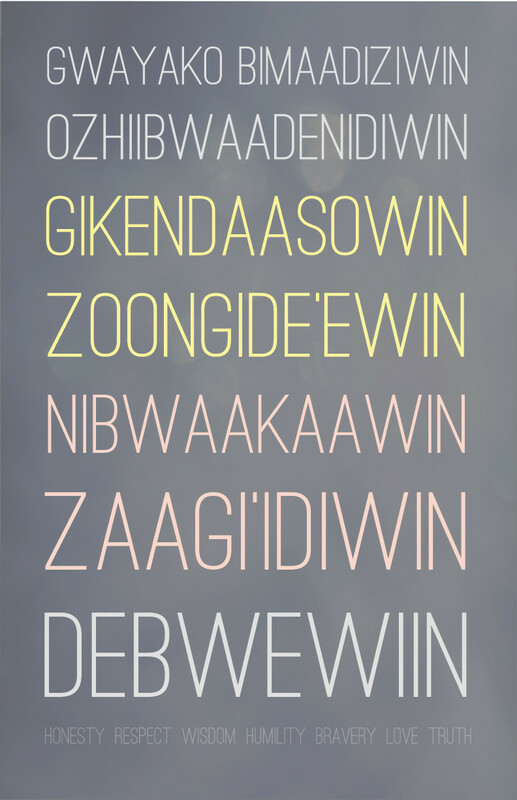 Seven grandfather teachings poster by Ashley Fairbanks, an Anishinaabe from Minnesota. I am a Native (Chippewas of Rama First Nation) graphic designer and artist. I graduated with an Honors Bachelor of Fine Arts from Oregon State University in Applied Visual Arts (Graphic Design). I am passionate about the intersections among design and Native cultures from the Americas. To subscribe to the newsletter and receive blog updates simply add your email below. A confirmation email will be sent to you! Eye on Design Op-ed: Why Can’t the U.S. Decolonize Its Design Education?